On February 26, 2018, a massive earthquake hit our missions in the Southern Highlands of Papua New Guinea. The 7.5 quake was centered in the Diocese of Mendi where our Capuchin missionaries live and work. Everything shook violently for nearly five minutes, causing landslides, toppling towers, shaking buildings off their moorings, splitting homes in two. The reports and photographs provide evidence of the earthquake's catastrophic damage. 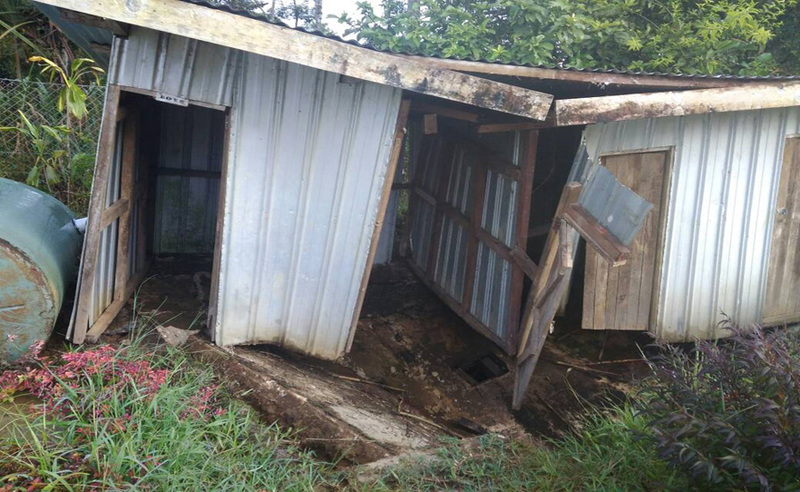 One government official stated this is the worst natural disaster to hit Papua New Guinea. In the months following the quake, our Capuchin missionaries were in full response mode. One missionary said, "My house is destroyed, but I've got to help my people and then start thinking about how to start over in the parish." The Seraphic Mass Association has supported the missionaries since they arrived in Papua New Guinea in 1956. That support was amplified in the last year. The Seraphic Mass Association Family is committed to the people of Papua New Guinea as they continue to rebuild. The earthquake, the aftershocks, and the destruction they wrought were massive, the need for our assistance is equally immense. Our work is not done. The people of the Southern Highlands and the missionaries who serve them still need your help. Your generous contribution will enable our Capuchin missionaries to bring comfort to the suffering, provide relief to those in need, and aid in the long process of repairing and rebuilding schools, clinics, chapels, priests' houses, convents, and parish churches.